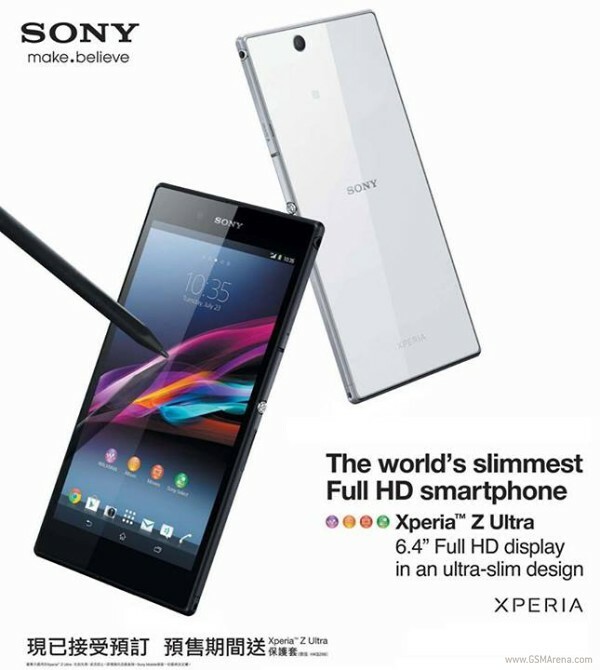 The pieces of the Xperia Z Ultra availability puzzle are finally starting to fall in place. Yesterday we heard that will be the phablet is expected to hit on September 13, but it appear Britain won't be the first market to get it. We've now received news that the monstrously spec'd 6.4" device from Sony will be available in Hong Kong for HK$6198 (€609) by the end of July. Preorders can be made from Sony's own HK portal. You can also can get the device bundled with a protective case for a limited time. Keep in mind that this is for the HSPA+ version (C6802), so if you plan on exporting the Xperia Z Ultra to your home 4G-enabled market, it's not going to support LTE. For most of us, though, we'll have to wait until September for the LTE version (C6833) of the Xperia Z Ultra to go on sale. European pricing is rumored to start at about €629.